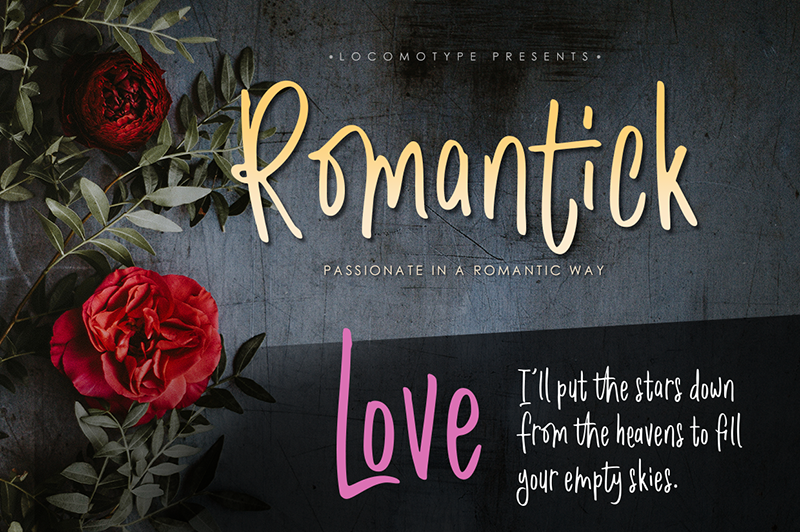 Romantick is a semi-script font based on handwriting with a thin brush pen. It looks simple with a casual style and also contains some ligature to make your design feel more personal. Even additional characters in stylistic alternates can be an alternative in further exploration. Romantick is perfect for the design of wedding invitations, quotes, logotypes, packaging etc. And most importantly, you can use Romantick font for free both for personal and commercial purposes.